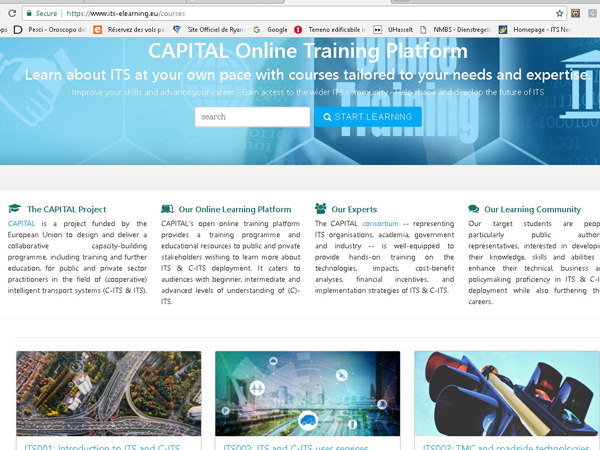 The CAPITAL project has developed an online training platform on Intelligent Transport System (ITS) and Cooperative ITS (C-ITS). The platform includes ten courses on different topics. In addition to the online training, the project organizes face-to-face trainings to engage stakeholders in the field. The courses has been developed by experts and professionals within the project consortium. The educational material is in text, audio and visual form, and consists of a literature review, presentations, video lectures and tests. The students can engage with the material at their own pace as well as participate in online discussions. The content of the material will be improved and updated based on the evaluation of the students. Online training will be supported by live demonstrations and face-to-face trainings held across Europe. 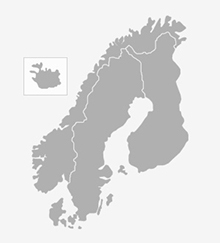 CAPITAL – Collaborative cApacity Programme on ITS Training-educAtion and Liaison is a coordination and support action funded by the EU under the Horizon2020 (H2020) Research and Innovation Framework Programme Grant Agreement No 724106. Partners involved are ERTICO – ITS Europe (coordinator), UK Department for Transport, TTS Italia, AustriaTech, City of Helmond, IRU projects, FEDERATION INTERNATIONALE DE L’AUTOMOBILE, University of Newcastle upon Tyne, VTT Technical Research Centre of Finland Ltd., Center for Research and Technology Hellas (CERTH) and ITS Hellas. This entry was posted in Intelligent Transport Systems and tagged C-ITS, EU-project, intelligent transport systems, ITS, online training. Bookmark the permalink.